Photos of dogs on Rod and Kate's dog walks - Rod and Kate for convenient local dog walking. 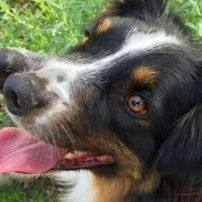 commented on "Older dogs can be pretty easy to manage." 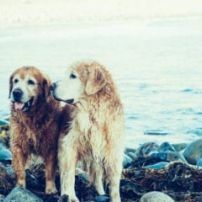 Older dogs can be pretty easy to manage. 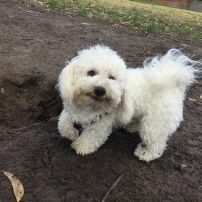 commented on "Snowflake posing for a cute photo"
commented on "Lush dog park now a dessert in Sydney." 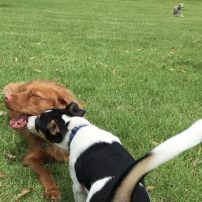 Lush dog park now a dessert in Sydney. Bring us some rain Please. It's so tiring just to watch. commented on "Brotherly Love in action." They lasted about 30 seconds. 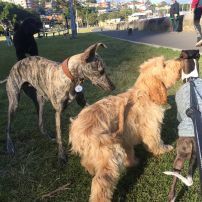 commented on "Beautiful dog 'Toby" with two noses"
commented on "Puppies fully engrossed in saying Hello." Puppies fully engrossed in saying Hello. 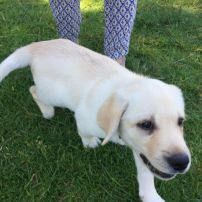 commented on "9 month old beautiful Lab puppy." 9 month old beautiful Lab puppy. Zoie is very floppy and full of joy. 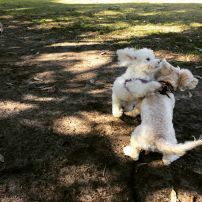 commented on "Little dogs running and rumbling!" Little dogs running and rumbling! Rod and Kate's dog walks look like Fun just as they are. commented on "We're thirsty. Guess why?" The Whippet gained first place in the running today at Rose Bay.